Like many others, I learned to sew with the rhythm of Grandmother's treadle machine. 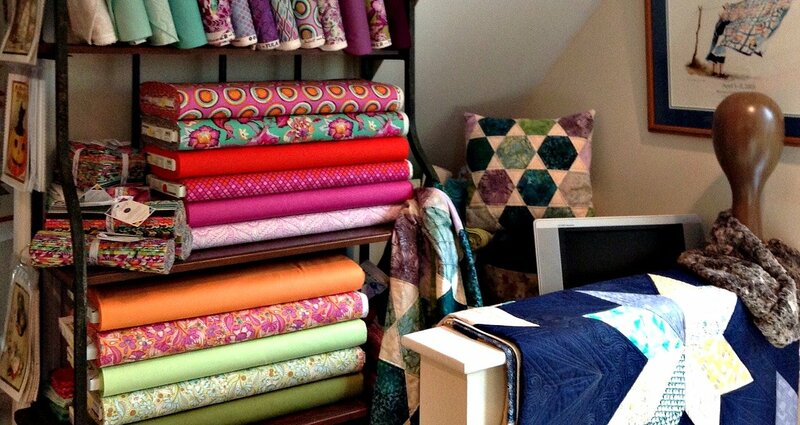 Years later, when a box of her patchwork blocks arrived at our home, I knew it was time to create my own quilts. I have been quilting for over 38 years now. Fourteen years ago Quilter's Palette began as a long arm quilting business in South Texas. 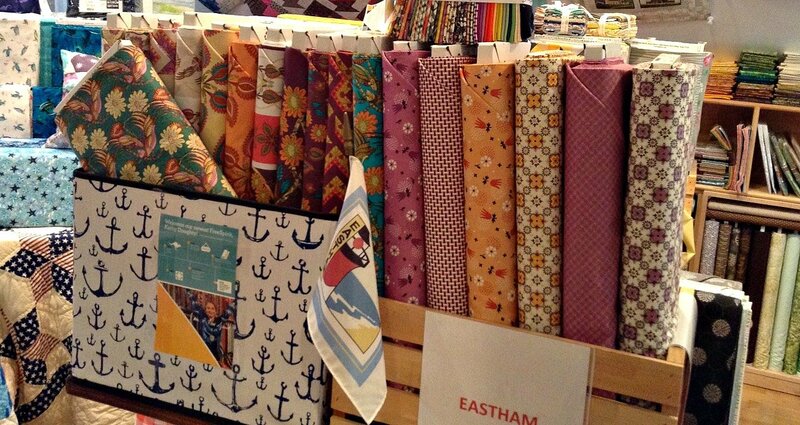 Eventually the allure of fabrics overshadowed the joy of free motion quilting. 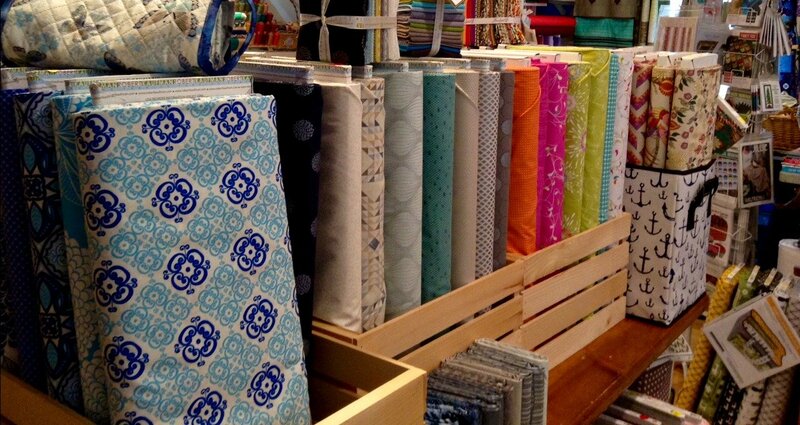 Quilter's Palette is now a fabric shop in Eastham on Cape Cod, MA. Memories of Grandmother keep me anchored in traditional quilts and colors. Several art courses & quilting classes introduced me to the modern movement. 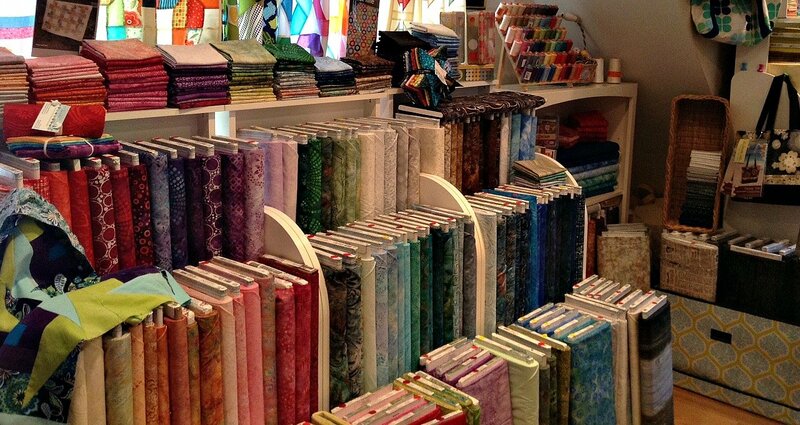 At Quilter's Palette, you will discover fabric and patterns to fill the needs of both. Come visit our shop on lovely Cape Cod. 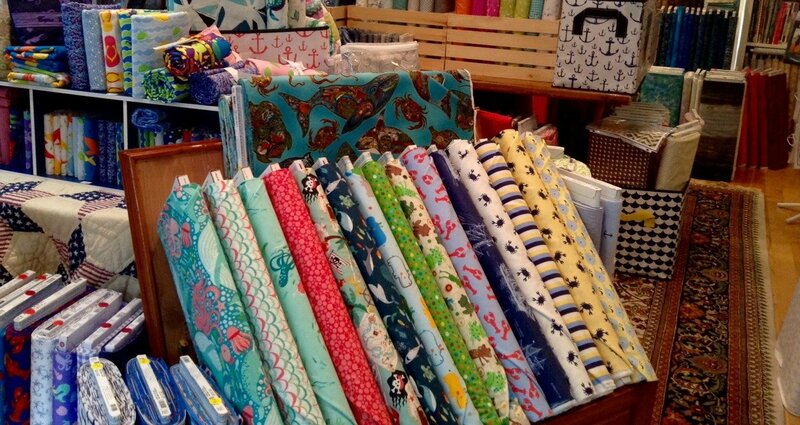 You will find nautical, beach theme prints, fabrics for both the traditional & contemporary quilters, & for garment sewing. Non quilters can relax in the rocking chairs on the kitchen porch, sipping lemonade while waiting. Rejoice in the beaches, seafood, & art of Cape Cod. Come visit Quilter's Palette on the Cape, online, or with a phone call.